About Me: I have lived on and off Canvey for the last 14 years, but am here to stay now. I live here with my husband and two young children. I started out my career working in the care industry as a carer and support worker and have worked in many different fields. I worked my way up to a Branch Manager of a local care agency but decided to leave after having my second baby so that I could concentrate on bringing up my children. I work part time now for my sister and brother-in-law’s business in heating, ventilation and pipework. 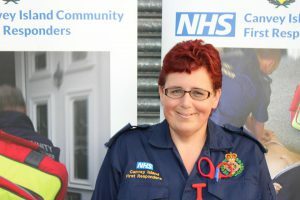 I thoroughly enjoy being a CFR as it enables me still to work within an industry I love and to serve the local community. It is great to be a part of such a great team who all want to help and do our best for the people of Canvey. I become the Coordinator of the group in January 2019 taking over from Mick Allwood. 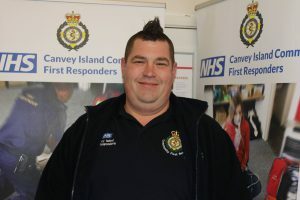 I am currently a Senior Paramedic and have worked for the ambulance service for 11 years, in the last 4 years I have been in the role of link manager for the Canvey First Responders. This role is the main link between the group and the ambulance service. Since being in the position I have seen the group spiral to new levels and become one of the most successful and well known groups in the south east of Essex. I started my working career at Waterside Farm Sports Centre where I worked my way up from lifeguard to centre manager. Whilst there I also became part of Her Majesties Coastguard service, working on call alongside coordinator Mick. 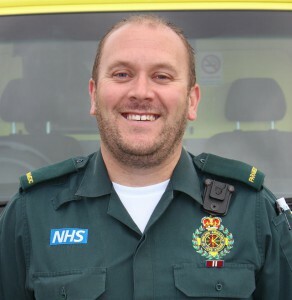 I am based at Canvey ambulance station and love the role and really enjoy being part of a fantastic team. I am now looking forward to seeing the group go from strength to strength. 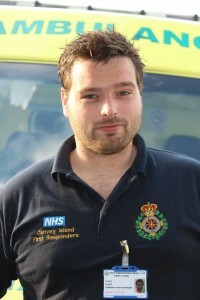 I have been with the Canvey CFR's for five years. I started with them in my last year of college and it encouraged me to make the decision of starting my career in healthcare. I am currently a healthcare assistant at one of the local hospitals and have recently started my nursing training. I volunteer with a fantastic group of people who really care about their community. I am Aged 56, Operator at Oikos fuels storage site at Holehaven, Canvey full time. 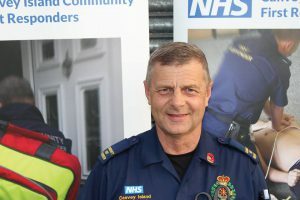 Station Officer Canvey Coastguard Team (volunteer). 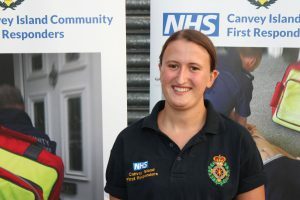 I was the Coordinator of Canvey CFR (volunteer) from 2015 to 2019. I have been a Canvey resident since 1966. All my volunteer work I find very challenging and sometimes demanding. 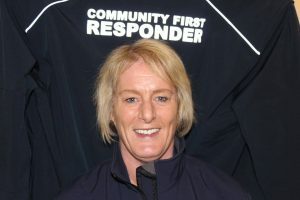 I joined the Canvey CFR team in 2013. It is very rewarding working in great teams and serving the local community. I have was a CFR from 2012-1015. 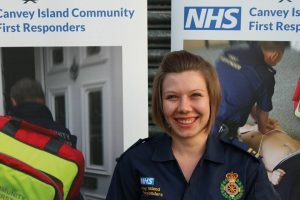 I joined the ambulance service in 2-16 and now work full time as a Paramedic with the East of England Ambulance Service. I assist the group with their training. I attended the University of Essex in Colchester and graduated with an undergraduate degree in Biomedical Science. I previously had a short career as an Associate Scientist in Clinical Biochemistry and Haematology at Southend Hospital. 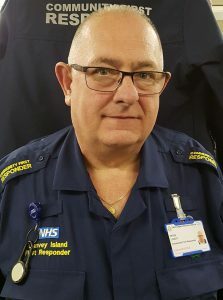 I am retired and enjoy my role as First Responder on Canvey. I attend a variety of jobs and hopefully keep our community safe and well. It’s a very rewarding job and I hope to continue for the foreseeable future. I am married to Paul. I am Canvey born and bred. My hobbies include holidays, walking, gardening & art therapy. I work for Grouts the bakers and I joined the first responders for a new challenge as I enjoy helping people. Being a first responder is very rewarding! I joined the first responders as I like to help others and I work by the motto of "if a man is down lend him a hand". I went to college and trained to be a Chef. I then changed my career path and now currently work in patient transport and hopefully will be an EMT in Feb. I'm a local builder by trade on Canvey Island. I consider myself to be a people's person with a bubbly personality or a lovable rogue on first impression as some say lol. My first choice of career as a young man was working in the NHS as a carer for people with mental health and learning disabilities. Due to life changes my career path changed hence now I am a builder. I became a First Responder because I enjoy and get great satisfaction in helping people in their time of need. It is also extremely rewarding when you know you have helped someone even if it's just reassuring them in some way. 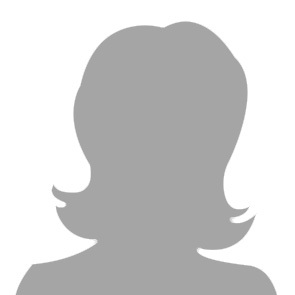 About Me: I am 39 years old and a contracts manager at LAB UK full time. I live on Canvey with my wife and four children. My family has lived on the Island more than six generations. My hobbies include cycling, photography and I have represented England at kick boxing. I started with the first responders in September 2016 and have really enjoyed the challenge so far. The group itself has an amazing sense of community, and the support from the Island is overwhelming. I look forward to the future with this group. I currently manage two night shelters and support services for the homeless. Prior to this I spent 12 years working for the NHS in mental health and adult medicine. 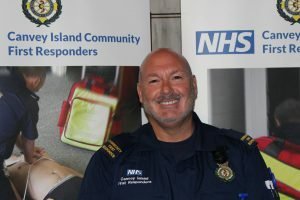 Its a real privilege to be part of Canvey Islands first responder team. About Me: I am Married to Michael, have two daughters and four grandchildren, one set being twin boys. I worked for the health service for thirty years- firstly in admin at a clinic. I was then employed as a HCA withing Whipps Cross A&E for twenty years. I am now retired but busier than ever! We moved to Canvey five years ago from Walthamstow. My hobbies include swimming, knitting, jigsaw puzzles and I love Elvis Presley's music. I have recently joined the group to assist with Events and Internal Training, I am 22 years old. 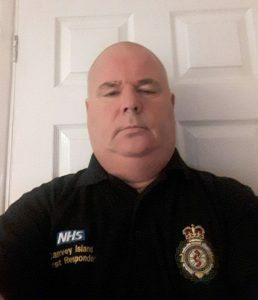 I have worked for the Thames Ambulance Group as an ECA and I am currently employed by the East of England Ambulance Service as a Paramedic. I have found working with the group very rewarding passing on my knowledge and experiences. 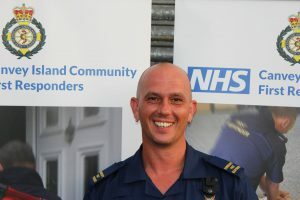 From my full time roll within the trust the events are a great way to give something back to the community. About Me: I started my career working in an elderly persons home. I am now a self employed carer for people with disabilities on Canvey. I enjoy helping people and knowing I can make a difference. 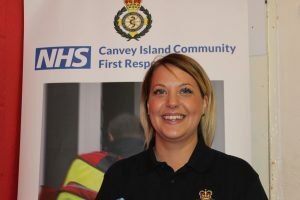 I'm really pleased to be a member of Canvey first responders and I'm looking forward to helping the community. I'm 36 years old married to Ricky I have six children and two step children and it's never quiet in our house. I like to attend fitness classes and like spending time with my family. I moved to Canvey six years ago and would never live anywhere else. About Me: I have lived on the Island for twenty six years. I have two children and currently work in Marks and Spencer. I decided to join the first responders to try something new and found that really enjoy it. 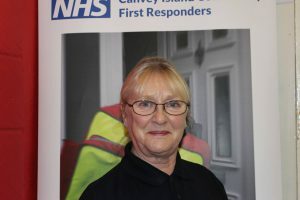 About me: I have lived on Canvey all my life and joined the CFR's to enable me to contribute my skills and knowledge to help the community of Canvey. I am a skilled Learning & Development Advisor with a major care provider in Essex. 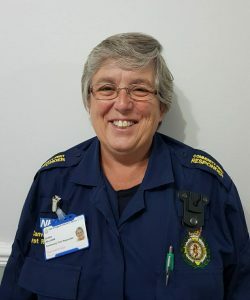 Within my role I deliver training to staff, such as emergency life support, emergency first aid at work and other subjects for the Health & Social Care sector. It was because of delivering these subjects that I was inspired to use these skills to help others and develop my knowledge. About me: I have lived on the Island for 29 years and work as an Independent Financial Adviser and have been in this line of business for 34 years. 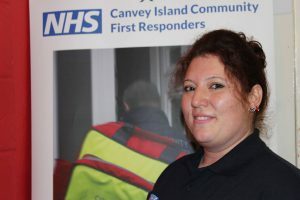 I have seen the good work that CFR's do when one of them attended my daughter after she had an allergic reaction it was at this point that I decided I wanted to be part of this fine team as well as taking on a new challenge and to make a difference in the Canvey community. 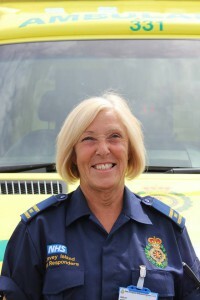 About me: I have been a qualified nurse for 34 years working in cardiology and accident and emergency. 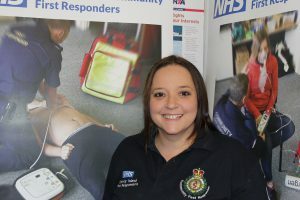 I currently work as a full time first aider working in a primary and nursery school. 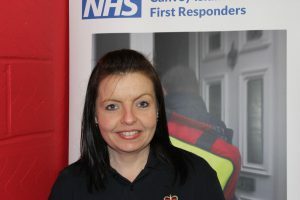 I am married with two children and joined recently as a first responder so that I can keep my skills up to date and help the community. I am also a member of the salvation army . I have only ever lived on Canvey and I am happily married with 4 sons. I was previously a hairdresser and for the last 10 years a tutor/assessor. I have also worked as a first aid trainer for St John Ambulance. My hobbies include going to the gym, socialising and spending time with family. 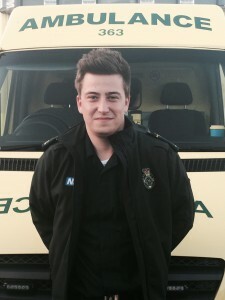 I am currently a Paramedic with the East of England Ambulance Service working out of Basildon ambulance station.